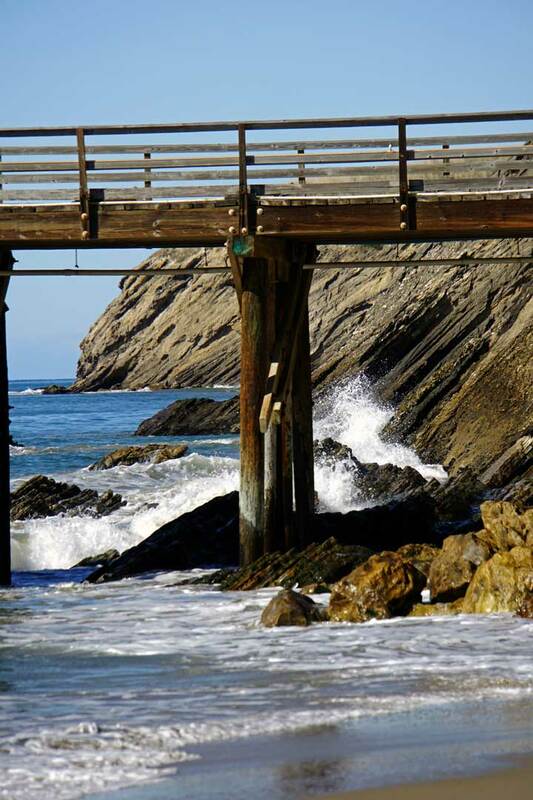 Gaviota state beach is on the Pacific coast, just South from the Santa Ynez valley. 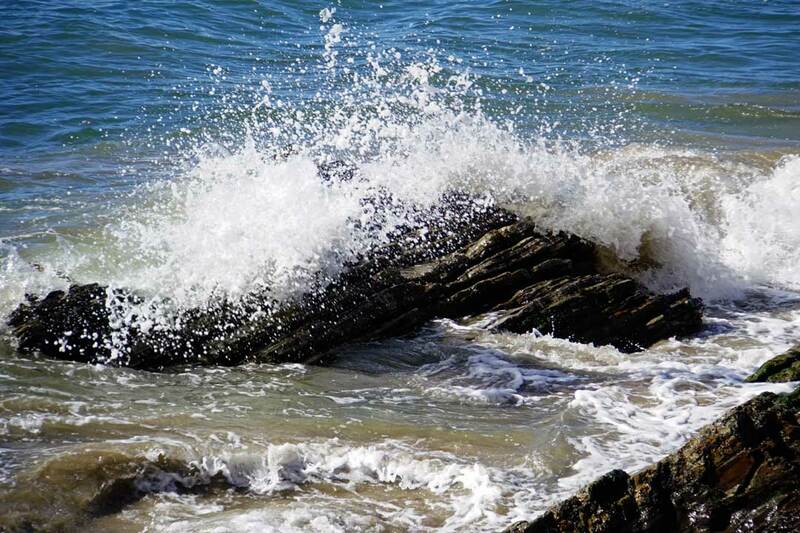 It is a small beach and it does get crowded during the summer, but during winter early spring it is a quiet place made for enjoyment and reflection. 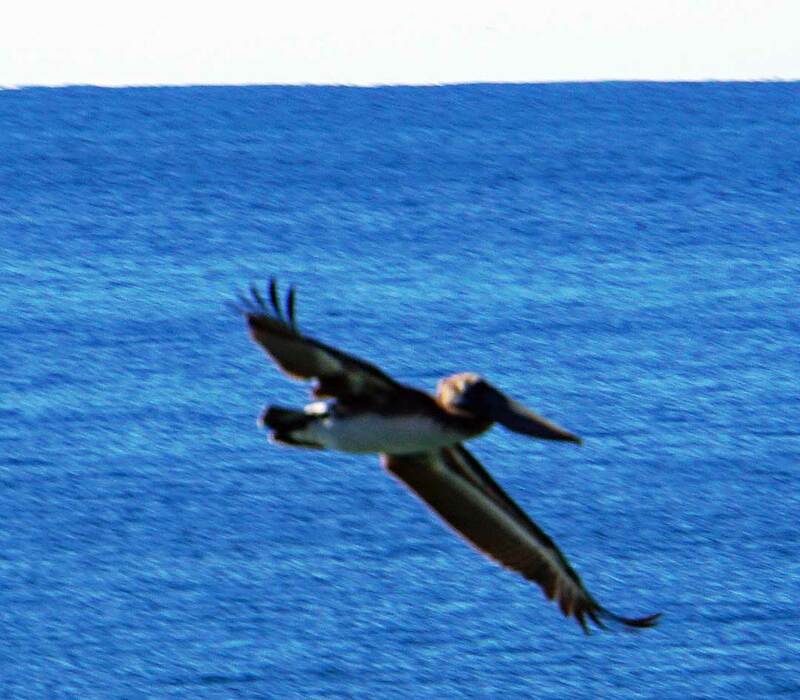 Gaviota is Spanish for seagull and there are plenty of birds around this area, seagulls included. 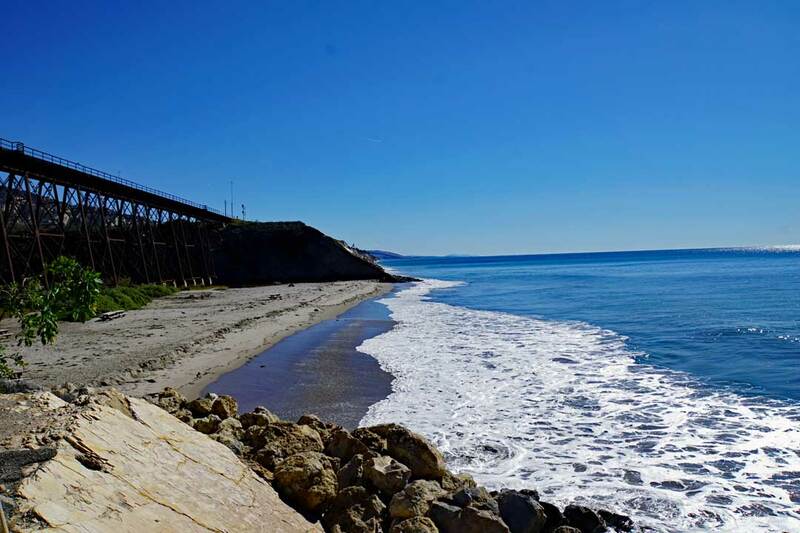 Looking South from the boat launch pier at Gaviota state beach. 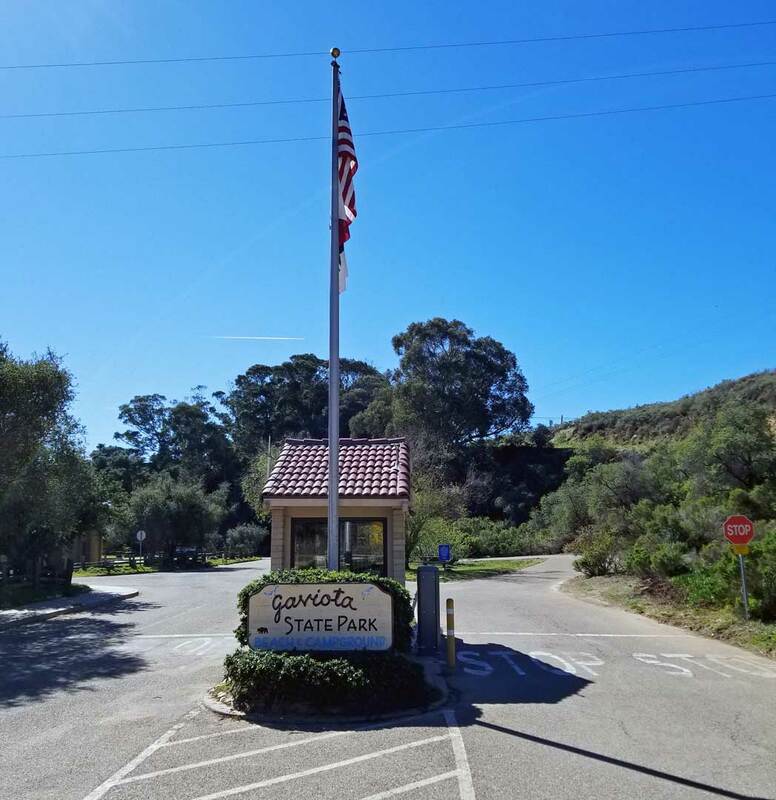 The boat launch is not functional because the pier suffered damage during a storm and has not been repaired. The bridge to the left is for the rail that carries the Coast Starlight trains Seattle, Portland and Los Angeles, here is a link to Amtrak for more info. 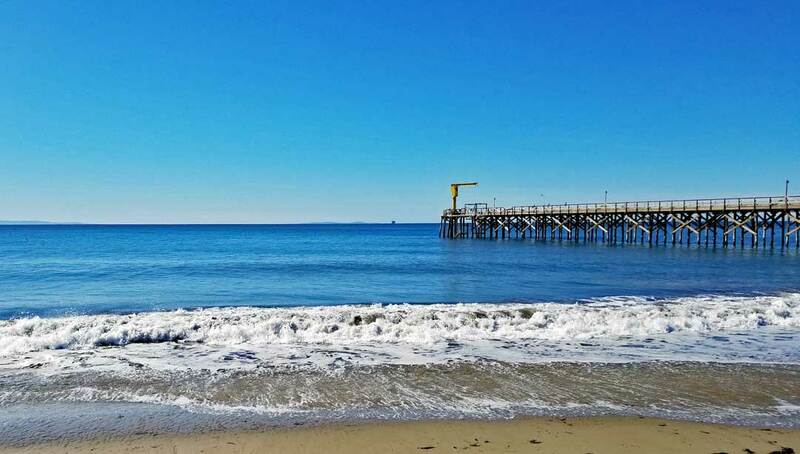 Gaviota state beach looking North towards the boat launch pier. 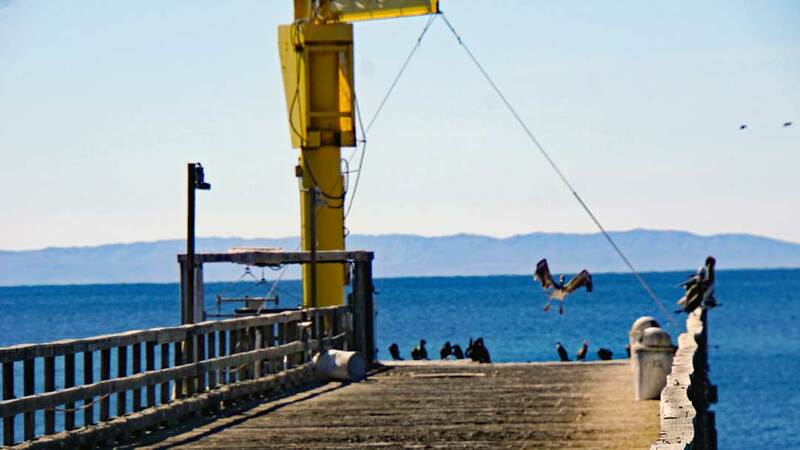 Pelican landing on the pier. 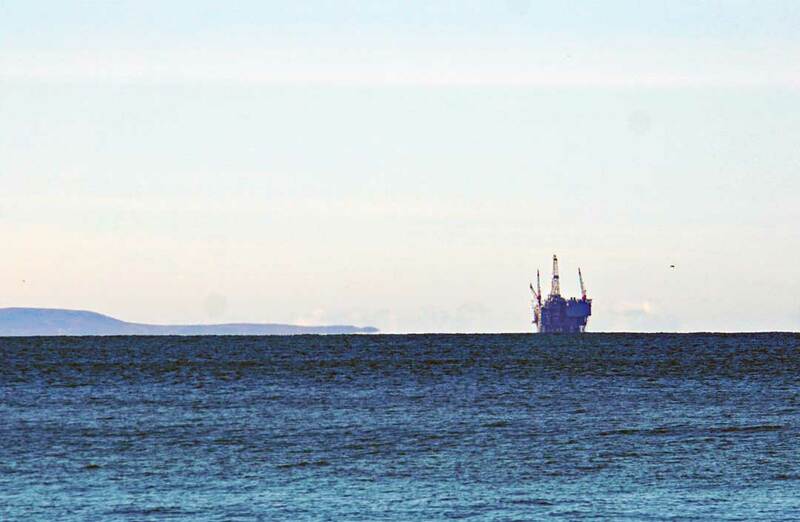 Oil platform in the Santa Barbara channel out towards the Channel Islands. 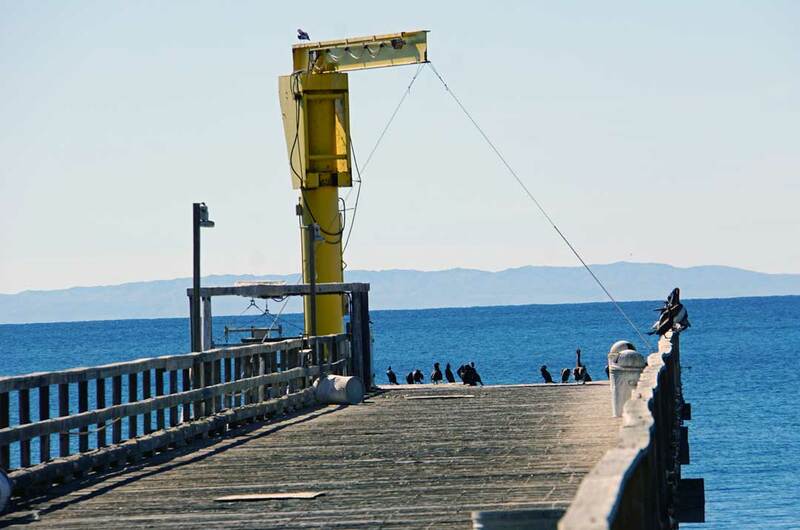 Oil drilling in the Santa Barbara channel is controversial because there are many important and very sensitive fish and wildlife protected areas in and around the channel. There has been oil spills which always result in pollution and kills fish, birds and other wildlife, the latest one in 2015. 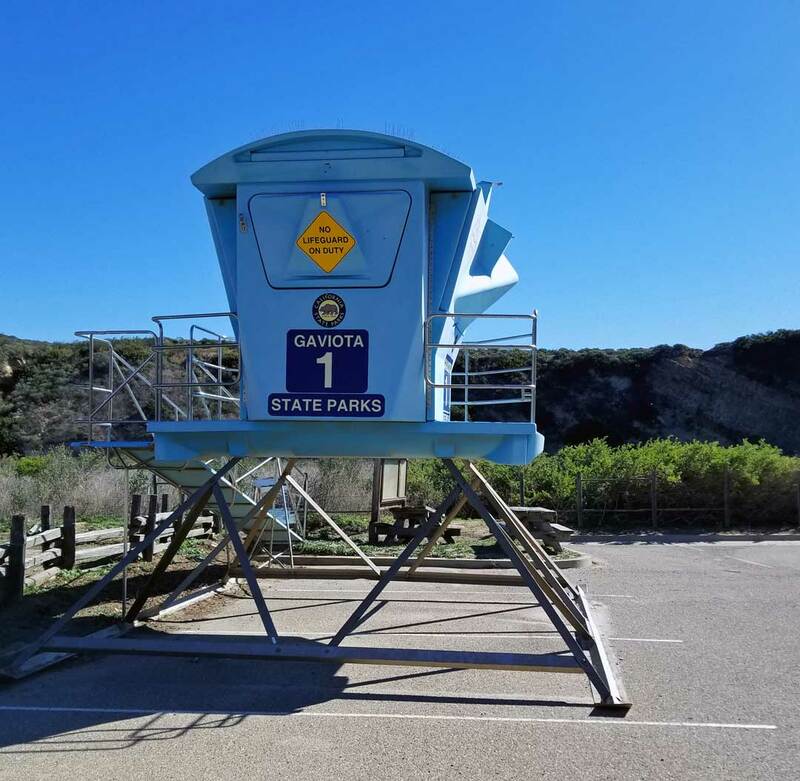 The Gaviota life guard tower is stored in the parking lot for the winter.